This recipe was a twist on the Fresh Tomato Salsa on this site. It’s made to accompany the Santa Fe Chicken Pizza Recipe. We’ve made this several times and it MAKES the pizza. 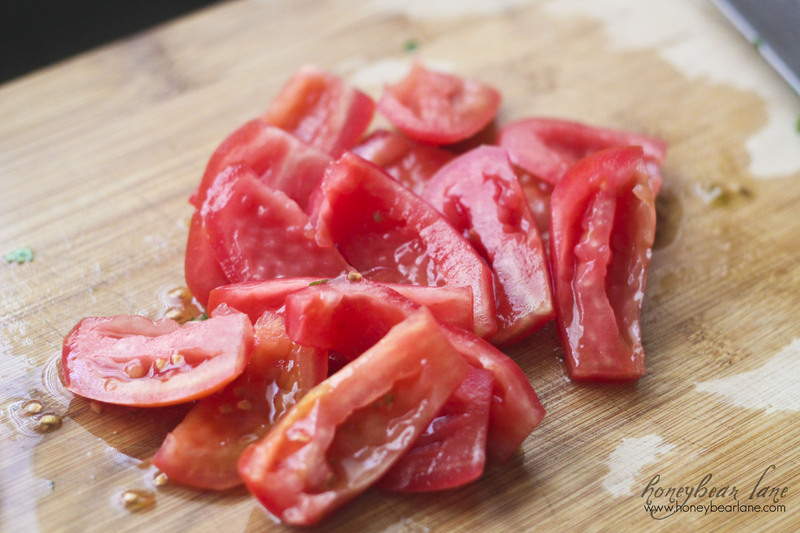 To chop the tomatoes, cut off the top and then run your knife down the side of the middle, to cut the flesh off the middle seedy membrane of the tomato. Cut all the flesh off and discard the middle. 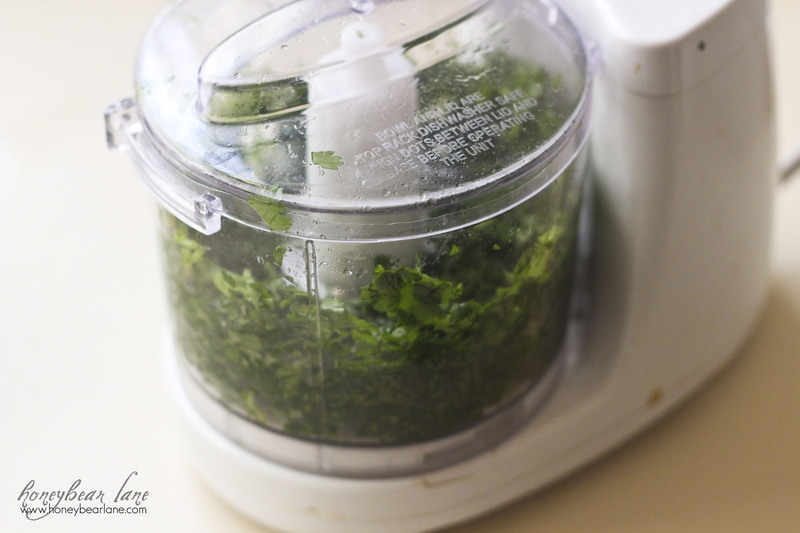 Use a food processor to chop the cilantro into fine bits. Smash the garlic cloves with the blade of your knife to remove the outer shell. Then chop the clove into tiny bits. 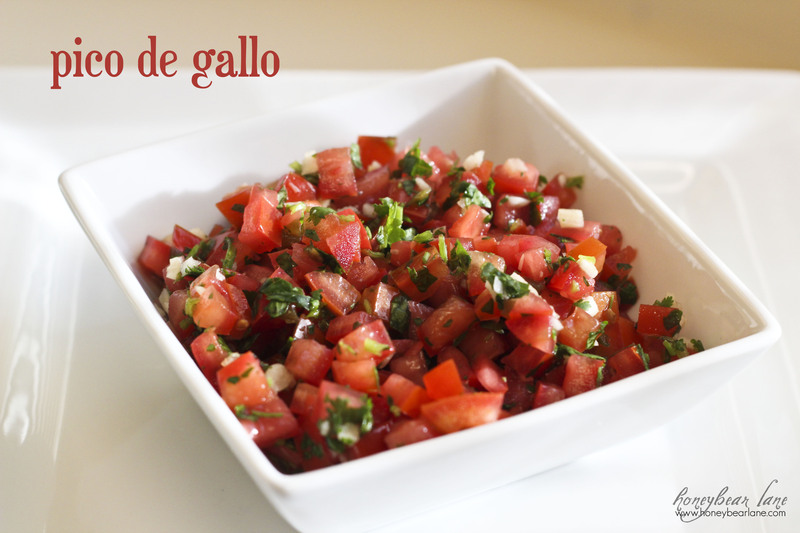 I have a bottle of nacho jalepenos which I use for this recipe. They aren’t quite as potent as fresh and I don’t waste so much of a fresh pepper. I usually chop up about two slices for this recipe. Squeeze the lime in and mix. Let the flavors merry for a 1/2 hour at least, more for better flavor. Makes about 1 1/2 cups. what precisely I’m looking for. Do you offer guest writers to write content for you?